Learning Challenge - Renewable Energy! Millions of tons of coal is mined and burned every year in order to create electricity. When you're computer is plugged into an outlet, electricity flows out of that outlet and into your computer in order to power it up. 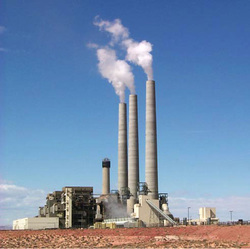 Unfortunately, coal powered plants are a major source of air pollution and can be very dangerous to our health. Coal is also a nonrenewable resource, which means that once we run out, we can't get any more. The activities in this web quest are designed for you to learn about alternative sources of energy. Is there a better way to power up our computers and other things that require energy, such as cars and microwaves?